In the 1930s British Mathematician Alan Turing studied normal numbers. During World War 2 he cracked the Nazi Enigma code, and then laid the foundations for computing and artificial intelligence. In the 1950s he was convicted of homosexuality and was chemically castrated. And in June 7th 1954, depressed by the anti-homosexuality medical treatment, and alienated by the society who deemed him abnormal, Alan Turing ate a cyanide laced apple. 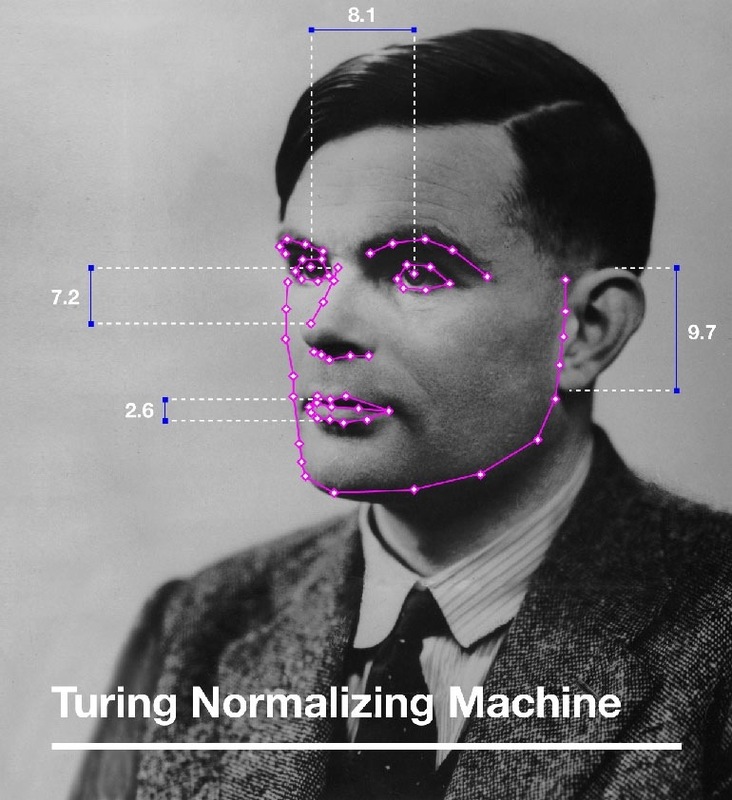 As the database grows the Turing Normalizing Machine develops a more intricate model of normal-appearance, and moves us closer to our research goal: to once-and-for-all decode the mystery of what society deems “normal” and to automate the process for the advancement of science, commerce, security and society at large. Georges Canguilhem, The Normal and the Pathological, 1966. This entry was posted in Photographs, Videos, Writing. Bookmark the permalink.